our film is being screened across the country...the response has been tremendous...find out how you can get a screening and how you can stand up for women making a difference in changing the world. WOMEN LIKE US THREE JOURNEYS. ONE MISSION. “Women Like Us” is a film that lifts and motivates the spirit. 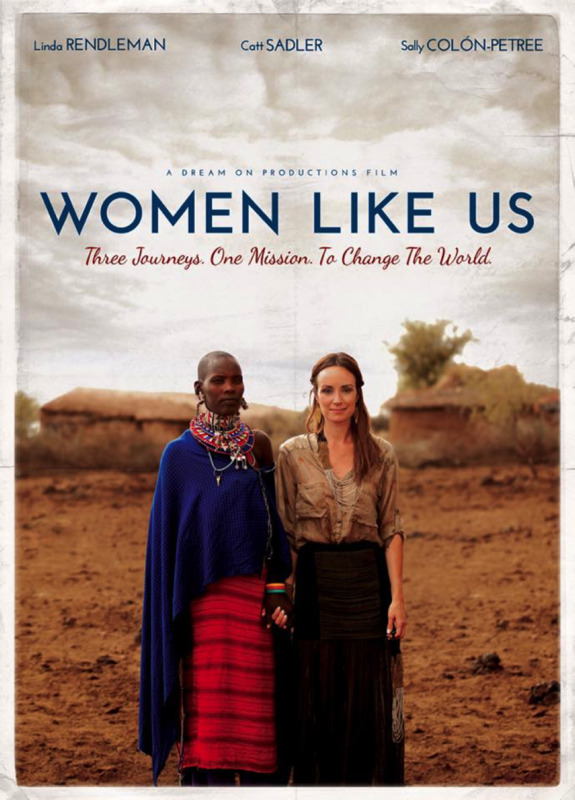 Inspired by the work of women like us foundation, this film follows three women on a moving journey of exploration. Throughout their travels, experience their personal journeys of adversity and evolution, in addition to witnessing the unimaginable social injustices women face around the globe. Film producer SALLY COLON-PETREE, award-winning journalist CATT SADLER, and activist & author LINDA RENDLEMAN travel the US and Kenya and engage in conversations with over fourteen astounding women. “Women Like Us” is a call to action for women everywhere as they join together and use their innate skills of compassion, courage and voice to confront injustice and to promote equality and education for all humanity. Our stories are singular...our passions are shared. This film premiered in 2017. You can schedule a screening of our film. Catt sadler, co producer and linda rendleman, executive producer, are ready to speak to your group at your event. gather your friends and colleagues, groups and families for a meaningful evening.